Spring is in the air as the temperature is expected to rise into the upper 50s Saturday afternoon. Sunny skies will likely dominate for most of the weekend, however a cool front is expected to sweep in by Sunday afternoon, bringing a chance of rain. 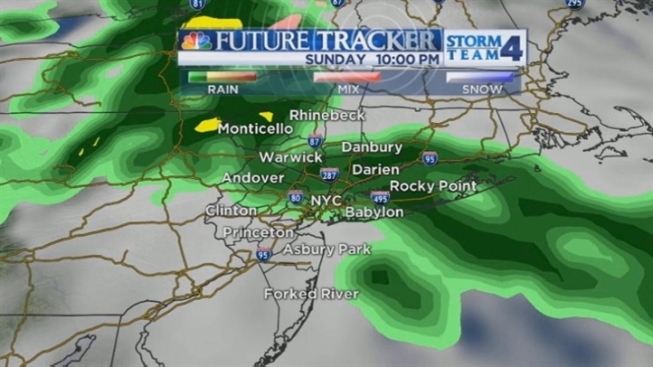 Easter Sunday should start off dry with partly sunny skies, but clouds will start to form in the afternoon, with rain expected to reach the tri-state area around 3 or 4 p.m. Highs on Sunday will be mild with temperatures in the mid and upper 50s. For Monday, expect partly sunny skies and a possible late day shower. Cool and windy conditions are likely for Tuesday. TOMORROW: Increasing clouds with rain towards the evening. TUESDAY: Partly sunny with a late day shower. WEDNESDAY: Mostly sunny, cooler and breezy. THURSDAY: Mostly sunny and breezy.